The cherries are finished, must be four of the saddest words in the English language. The end of the all too brief cherry season always leaves me feeling a little downhearted that there will be no more scoffing bags of roadside stall purchases and spitting the pips out the car window. Which is why we stuff ourselves silly on the juicy purple fruit for the few weeks in summer we get to enjoy them. We make them into jam, dehydrate them, pickle them and plonk them into jars of brandy, to quietly do their thing for a few months before opening on a chilly midwinter night. 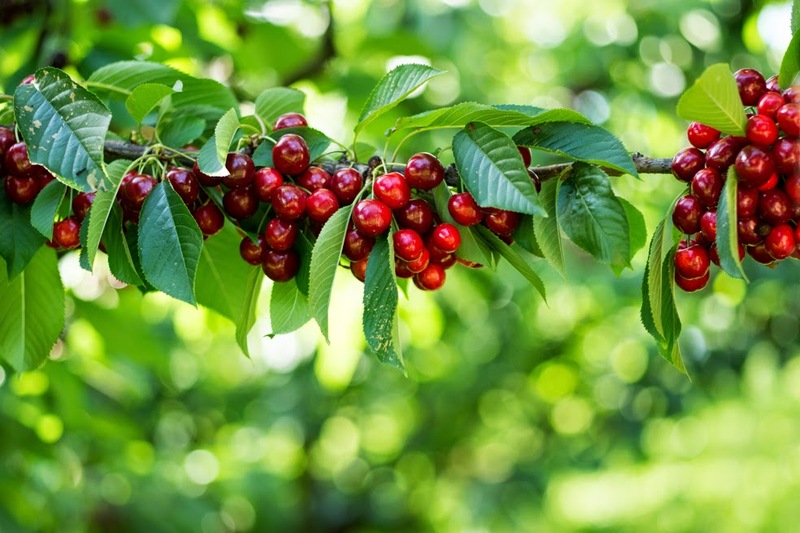 Of course, the end of the cherry season isn't the end of the summer fruits. You can still catch some blueberries, there are peaches, and apricots, nectarines and the start of the plums. We find our weekends scrambling for buckets and sun hats to go picking and then come home and scrounge for jars whilst going through an alarming rate of sugar as we preserving everything. Last weekend we picked several kilos of blackcurrants from a picturesque farm by the river. My favourite berry, although blackcurrants are not much chop to eat raw, adding a little sugar and heat creates the most delicious dark and moody fruit concoction ever. We've made blackcurrant jam, blackcurrant curd and blackcurrant vodka, well actually, trying to make a cheats cassis, we shall see how we go. But inspired as ever by Nigel Slater when it come to classic English fruit recipes, I made these delicious meringues with blackcurrants and cream. Rosey fragrant crispy meringues with a fudgy centre, smothered with tart blackcurrants mellowed with cream, eating this makes me not so downhearted after all. 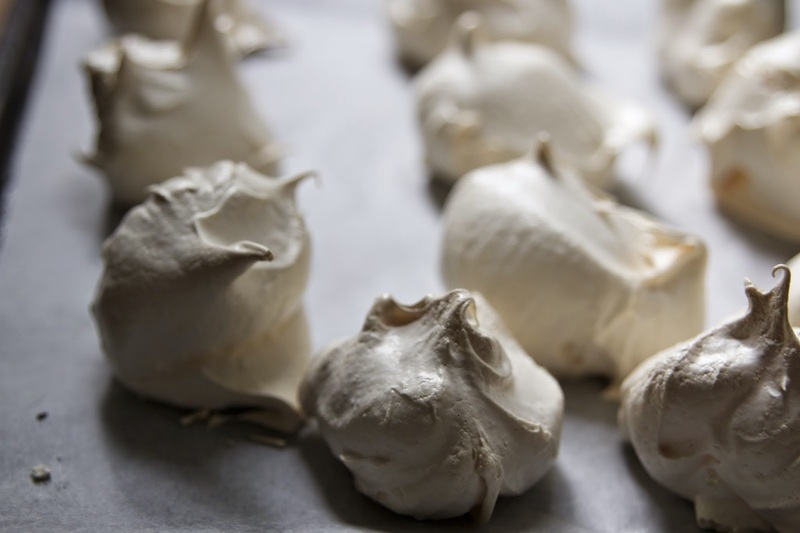 Don't worry if you don't have rose geranium leaves in the garden, these meringues are lovely without. Heat the oven to 180g. Place sugar on a baking tray and bruise the sprig of rose geranium and nestle it into the sugar. Place the tray in the oven for 10 minutes or until the sugar is just warmed through. Remove form the oven and fish out the rose geranium sprig. In the bowl of a stand mixer whip the egg whites until foamy. Then gradually add the warm rosy sugar a tablespoon at the time, not too slowly but not too quickly either. Whip the egg whites and sugar mix until they are very thick and white and glossy. Place generous spoonfuls of meringue on a lined baking tray - leaving some space between each one so they have room to expand. Place meringues in oven and reduce heat to 120C. Bake for one hour and remove from oven. Allow to cool. Meanwhile, remove any stalks from the currants and place in a saucepan with the sugar. Bring to a boil over medium heat, reduce heat and cook only until the currants start to burst. Remove from heat, allow to cool, then chill in the fridge. 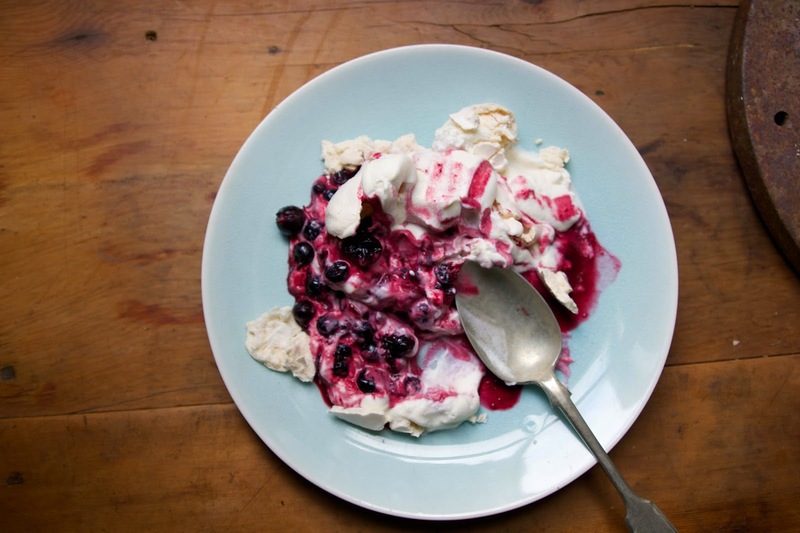 Whip the cream to soft billowy peaks. 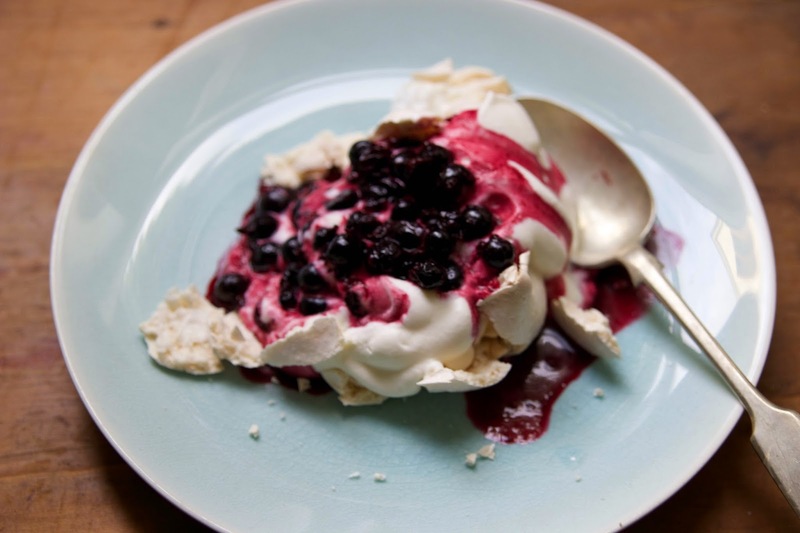 Place a meringue on a plate and make an indentation in the top with the back of dessert spoon and dollop with cream. Spoon over a generous amount of currants and their juice - three or four tablespoons. Any left over blackcurrants are rather good with yoghurt and granola for breakfast. * Thank you Alan Benson for letting me use your cherry photo. Looks very yummy, I'm always sad when it's the end of cherry season too, I've got a few large juicy reject cherries left in the fridge from a local farm and I'm savouring every last one! Oooh, now look at that. Meringue is something I've only got to eating in the last few years, so I feel like I need to make up for lost time a little.